Why live-culture foods? Why food? Why a small artisan-owned cooperative? Why a community-supported enterprise model? To hear me talk about technology in this modern, industrialized world, you might mistake me for a luddite. Fair enough — I used to mistake myself for a luddite, too. Until I encountered EF Schumacher and permaculture and learned to articulate my ethical code concerning the development and use of technology. Unfortunately, much of the technology produced and used by modern industrial economies falls far short of such an ethical code in both design and implementation. I created Saueressen to bear a standard of sorts for the appropriate technology movement by way of its focus, the technologies it uses in the course of operation, and its organizational structure. A society’s food system largely defines or heavily influences the overall structure of that society. In other words, a change in the way we relate to our food creates ripples of profound change throughout the rest of society. By building a better food system, we build better people and communities. By better, I mean more diverse, resilient, decentralized, environmentally friendly, healthy, transparent, responsive, etc. Saueressen takes all this into account in our choice to work with local, organic farmers, which also keeps more money in the local community! Fermentation stands apart from other food processing methods in a key way: it enhances the nutritional (as well as economic) value of the foods in question, rather than degrading them. Fermentation excels at delivering key probiotics and micronutrients we need to maintain a healthy body. Simply put, live-cultured foods form an important part of a healthy diet. It doesn’t matter whether you’re vegan, vegetarian, omnivorous or carnivorous. Your body will benefit from live-cultured foods. The core nutritional technologies that form the lifeblood of Saueressen have existed for hundreds — sometimes thousands — of years. 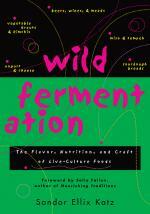 Fermentation is a time-tested and well-established means of nutritional preservation and enhancement. Likewise, the equipment and techniques needed to produce most ferments are as equally well-established. We ferment veggies in high-fired, lead-free clay crocks, for example. The crocks have a very sophisticated airlocked design that significantly enhances batch reliability and lowers labor costs. Other tools we use to process include implements to chop, shred and grind ingredients. We also make appropriate use of our environment — a key condition for successful fermentation. Most lactic acid ferments do best in cool, temperature stable environments. Koreans bury their kimchi pots to stabilize temperature and prevent oxygen contamination. In other words, they use geothermal energy. In the summer, the ground cools. In the winter, it warms. The result is a fairly consistent and reliable cool temperature range, year-round. We use a basement kitchen space to the same effect. Under these conditions, we gain the option of producing — and preserving — batches of fermented veggies over the course of years, rather than weeks and months. Have you tasted a four year-old vintage sauerkraut? Sandor Katz has, and said it was sublime, like a fine wine. The same, of course, goes with fermented meats and dairy. In contrast, most long-term mixed-SCOBY ferments (vinegars) actually benefit from exposure to temperature extremes. Placing oak barrels out in an unshaded, unheated above-ground structure results in a higher quality product. It’s all about using space — including microclimates — effectively. Using fermentation, we start to see a world where we don’t need refrigeration and electricity. They become nice amenities, but do we want to slide into a crisis state every time they go away? With fermentation, life with and without electricity becomes much easier and more enjoyable! While Saueressen makes use of electrical implements, we also dedicate time and energy researching and developing electricity-free modes of processing ingredients into live-culture foods as part of our focus on food security. EF Schumacher argues, in part, that the debate over “public vs private ownership” is misleading irrelevant, in large part, inasmuch as it ignores the issue of scale. Small is beautiful in large part because smaller scale operations are inherently more sensitive and just in their distribution of the work and the benefits derived from that work. 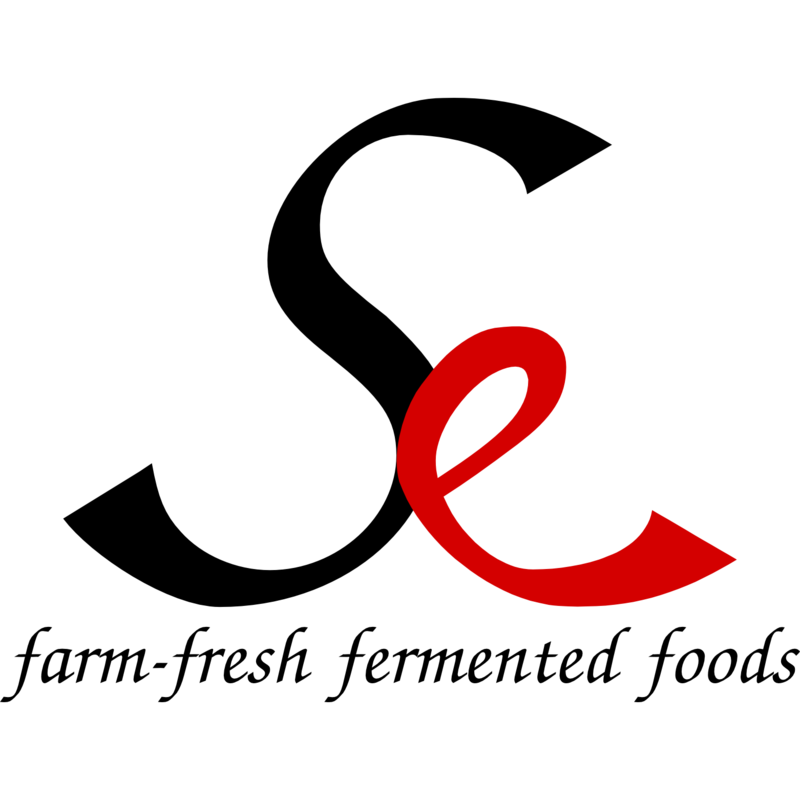 The larger the scale the enterprise, regardless of whether it is public or private, the more difficult fair and just distribution of work and derived benefits becomes, which in turn requires a greater degree of planning, intentionality and perseverence to ensure that problematic dynamics do not arise (e.g., a combination of those who derive benefits from and may exercise control over others’ work without themselves contributing to said work). Saueressen will always remain small because of its growth plan. It operates as a cooperative of artisans who share the production space and overall decision-making. Each cooperative kitchen will support about 3-5 owner-artisans who source ingredients and distribute products and services locally. Each kitchen operating under the Saueressen label becomes a part of the trademark collective, gaining access to all Saueressen knowledge and resources while retaining complete financial independence. Grassroots drive the entire organizational structure: artisans manage the kitchen, and the kitchens manage the collective brand identity. So even if the Saueressen concept of artisan-owned cooperative live-culture kitchens really catches on, Saueressen will never become the WalMart of fermented foods. Lastly, Saueressen functions as a benefit corporation, meaning it exists to provide a “material positive impact on society and the environment while meeting higher standards of accountability and transparency.” We use fermentation as a vehicle to enhance community food security. To make this happen, Saueressen supports open standards, including Creative Commons licensing and open-source software such as Open Food Source. We build our business on transparency, trust, quality and value. Saueressen embodies the values we look for in our best friends and family. This entry was posted in Knowledge, Why Saueressen? and tagged 30 Theses, appropriate technology, B Corp, Creative Commons, EF Schumacher, Jason Godesky, open food source, permaculture, resilience action network, Sandor Katz, Small Is Beautiful, TERMS of appropriate technology on October 19, 2014 by ozob.